Also for the first time, the IWP will have a blogger — playwright Patrícia Portela — to reach out to the larger community. Unusually, all three Arab participants are from the Gulf. Two of the three write in English. 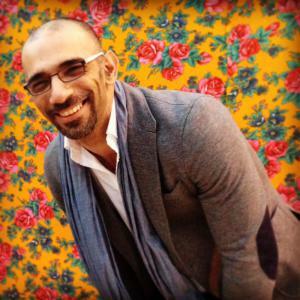 Bahraini participant Ali Al Saeed is the most widely published: His first novel, QuixotiQ, appeared in 2002, and since then he has published a poetry collection, Sad Man Dancing (2009), a collection of short stories, Moments (2006), and essays, The Randomist (2013). My writing is anything but consistent, I tend to dabble in any form or medium. My writing is very sporadic and I need to be working on several projects at the same time. Before I had even finished my first novel I had started on a second one which is still not finished yet. Thankfully short stories can be finished in a few days or months. It was not a conscious decision. English was my favourite subject in school, I grew up watching TV and listened to music and that is how it developed, there was no specific logic or reason behind it. Other Arabs are writing in English too and when I look back now six years later it says a lot about the fact that we feel more comfortable expressing our thoughts, ideas, dreams in a different language because maybe we don’t feel so restricted by it. We live in a society where people are more conservative and you have to watch what you say and sometimes you can get away with saying things in English that you could not in Arabic. 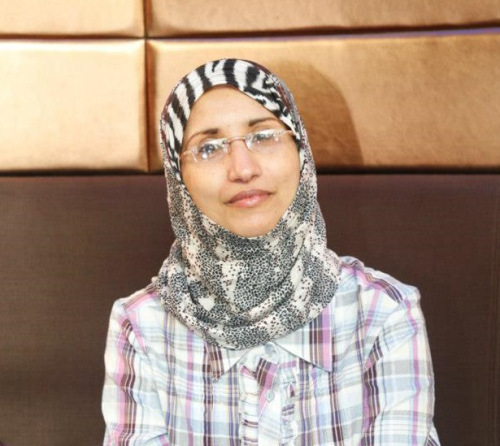 Yemeni poet Sawsan Al-Areeqe is also a filmmaker; her Daughter of the Sea screened at the Liverpool Arab Film Festival in 2011, and her Photo won the Special Jury Prize at the Meknas Film Festival in 2012. As always, there will be a number of local readings and workshops, and several of the events will be livestreamed. During their residency, writers will also travel to New Orleans, San Francisco, Washington D.C., New York City and other cities around the US to give readings and participate in festivals. Previous participants have included Palestinian poet and Beirut39 laureate Najwan Darwish, Egyptian novelist and blogger Ghada Abdel-Aal, Egyptian novelist Khaled al-Berry (shortlisted for the International Prize for Arabic Fiction), Kuwaiti author Taleb al-Refai, celebrated Syrian novelist Nihad Sirees, and Saudi Beirut39 laureate Abdullah Thabit.